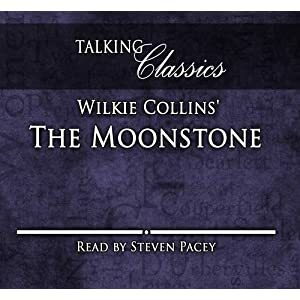 Steven Pacey first narrated an abridged version of Wilkie Collin’s 1868 classic, The Moonstone, in 1995. It’s enduring popularity means has been re-released many times. 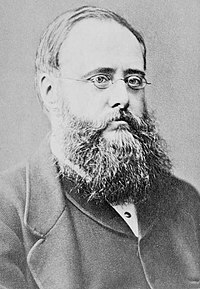 William Wilkie Collins was an English novelist, playwright, and author of short stories. He was very popular during the Victorian era and wrote 30 novels, more than 60 short stories, 14 plays, and over 100 non-fiction pieces. 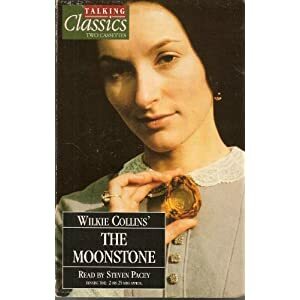 The Moonstone, a yellow diamond looted from an Indian temple and believed to bring bad luck to its owner, is bequeathed to Rachel Verinder on her 18th birthday. That very night the priceless stone is stolen again, and when Sergeant Cuff is brought in to investigate the crime, he soon realizes that no one in Rachel’s household is above suspicion.